Trust the Experts at Prestige Systems to do it Right the First Time! Don’t replace your carpet when it can be repaired for a fraction of the cost of new and last several more years. New carpet will cost between $3000 to $5000 for an average sized home. Over 80% of carpets can be repaired and brought back to an almost new look. We have over 28 years in the carpet industry and we are well versed in re-stretching and repairs. If you need a room, hallway or whole house stretched, we can do it quicker and stretch your carpet tighter than most technicians can. We use the tri-FORCE stretcher to stretch carpets. It does not damage walls, baseboard heaters and will not poke holes in your carpet from tail pins. We can repair most any carpet damage including burns, holes from pets, transition fraying, seam pulls and fixing previous repairs that were done incorrectly. Save money and get more years out of your carpet instead of replacing it, give us a call and we can discuss your situation. We specialize in removing dog or cat urine, and stains. 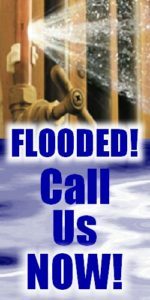 We are now offering $25.00 OFF for Carpet Repair in Lexington and the Midlands areas. If you have any type of carpet-related issues, we can fix them. Our carpet technicians are bonded and insured for your peace of mind. Our technician can fix ANY type of carpet problem. Do not waste thousands replacing your carpet; simply call us for a Free Estimate. Why Buy New Carpet/Rug, When You Can Dye them? Stains are discolorations to fibers. Perhaps you accidentally spilled some bleach or cleaning products on your carpet and noticed it left a very light mark. Chances are you have just experienced color loss from those fibers. A broad range of chemicals and other factors can cause color loss on carpet. Bleach is not the only possible color loss threat. Although chemically different from household bleach, most acne medications, some cosmetics, hair treatments, and some medications contain a form of bleaching agent. Many common cleaning products, including many popular carpet-cleaning products, scented home deodorizing products, pesticides, pool and spa chemicals, some perfumes, aerosol sprays, and laundry detergents, and many other chemicals can cause unwanted color loss, fading or discoloration. These areas may appear as white, orange, or yellow spots on your carpet. Carpet dyeing will let you mask stains from juices, coffees, urine, powdered drinks, wine or bleach stains. Dyeing your carpet is a good alternative to buying new carpet if you just need to hide a small spot. Let Prestige Systems fix your problem and save you the cost of carpet replacement with our Carpet Dyeing Services. Carpet spot dyeing is a very specialized service. In many cases, we can repair carpet spoiled by bleach or cleaning solutions, or even just sun fading! Re-dyeing the area of carpet affected by the color loss restores the carpet color similar to the original dye, making the spots much less visible. Prestige Systems is an industry certified color repair/carpet spot dyeing specialist. 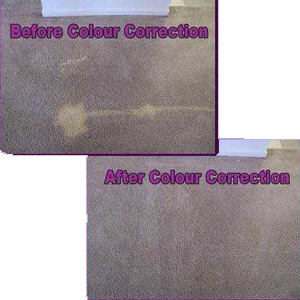 We can dye your carpet to repair bleach spots and small stained areas cleaning will not remove. Examples are chemical spills, permanent pen marks, gloss paint, varnish, rust, and wood stain. Dyeing a carpet is only suitable for small areas, spills etc. 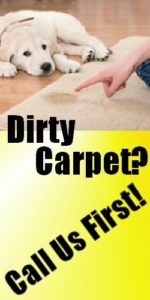 Most carpet cleaners will give up trying to remove some stains and state they “are permanent” and that “nothing can be done”. NOT TRUE. Spilled some red wine on your cream carpet and you do not want to live with that pink patch anymore? We can remove the coloring and re-color the patch to match the original color.